I'm always looking for a way to save a buck, as most of us are. If you're looking for ways to make your dollars stretch further, use these economical ideas in your daycare practices. 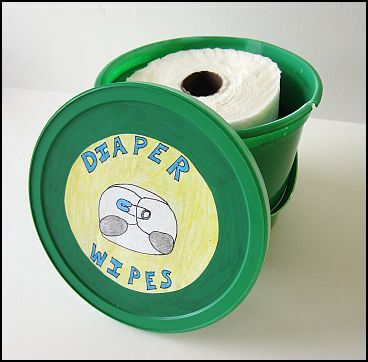 I made these homemade diaper wipes thinking it was just to provide information on this website. But I liked them so much, I'm still making my own. They smell good, they're gentle on baby's bottom and they're inexpensive. It's a win/win! Mix all ingredients and pour over paper towels. I use a decorated ice cream bucket for the container. I buy the select-a-size paper towel and the size works great. Cut the roll in half with a sharp, non-serrated knife. Place a half roll in the ice cream bucket. Mix the liquids and pour over the paper towels. In just a few minutes, the towels will absorb all the liquid. I tear some towels off and transfer them to a diaper wipe container for easy access when I need them. The cost of these diaper wipes compare to the store brand names such as Sam's Club wipes or Target wipes. They are about the third of the cost of the name brand wipes such as Pampers and Huggies. I found for the big jobs, I may have to grab two at a time, but with the cost savings it's still worth making your own. 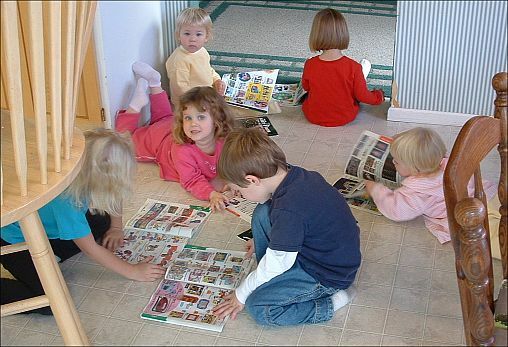 Recycle your old phone books by turning them into a booster seat for toddlers. When you get a new phone book delivered to the house, save the old one. 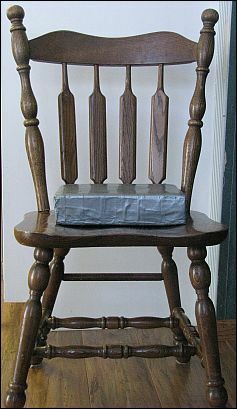 Every time you have two phone books, you have a new booster seat. And it's simple! All you need is the two used phone books, plus a roll of duct tape. Stack the two phone books one on top of the other. Wrap a few strips of tape around the middle of the phone books to hold them in place. 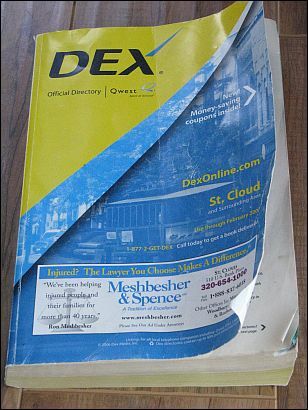 Then take smaller strips of tape to cover top and bottom ends of the phone books. Start at the top of the phone book and start wrapping duct tape to the bottom, catching the end strips to secure them. It's that easy. Your booster seat is ready to use. About once a year, if used heavily, the booster seat will start to look a little ragged. Give it a face lift by wrapping it with new duct tape. Don't buy the expensive store brands! The ingredients used to make your own playdough are things I just have in my house already anyway. The ingredient that is hardest to keep on hand is the salt, so I buy the large boxes at my local warehouse store. 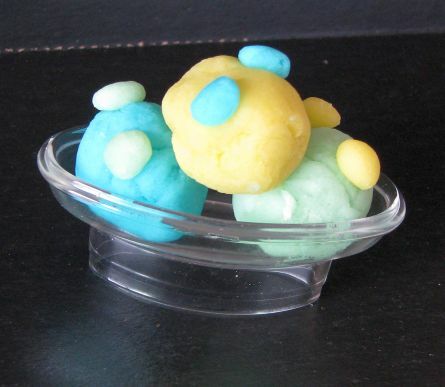 The playdough will stay soft and pliable for a couple of months when stored in ziplock bags. Those toy catalogs you get in the mail at Christmas time can be turned from trash into entertainment for your kids. When you start receiving those toy catalogs from the department stores, save them. When you get a nice pile of them, use them to entertain the kids. All kids like to browse through these catalogs and dream about what they are going to get for Christmas. It's a free source of entertainment that can be used several times in November and December. If you don't receive very many toy catalogs in the mail, talk to your mail carrier. They have catalogs that were addressed to undeliverable addresses. They can probably let you have those leftover catalogs.